We are a design, build and maintenance landscape company based in Baltinglass, Co. Wicklow. Established in 2006, we serve both private and commercial clients. Our aim is to provide a top quality, personal service with customer satisfaction, at reasonable rates. 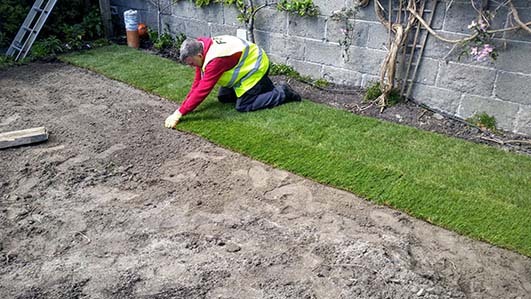 We have worked on garden design and landscaping projects for our clients in Dublin, Wicklow, Kildare, Carlow and Wexford. As well as designing, constructing, and planting new gardens, we also offer a total landscape maintenance and grasscutting service for established gardens. This can be once off, seasonal or a continuous garden maintenance package. This tailored service gives both private and commercial customers value for money and a quality service. Newtown Saunders Ltd. is currently researching and developing Dementia Friendly Gardens for both care homes and private clients.